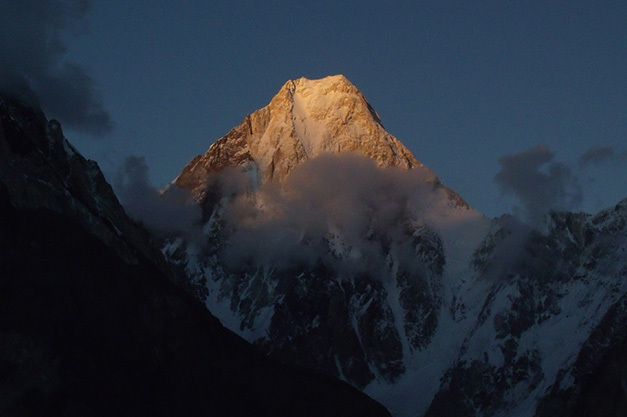 This trek is renowned as Baltoro Trek, this has amazing scenery and mind blowing giant rock towers and shining peak all the way up to K2 and Gahserbrums base camp. The trek is combine moderate and demanding. D 2 Fly to Skardu, flight are subject to weather, in case of cancellation drive to Chilas over Babusar pass. D.3 Drive to Skardu along the Indus Gorge. 7-8h. D. 4 Preparation and sightseeing of the town. 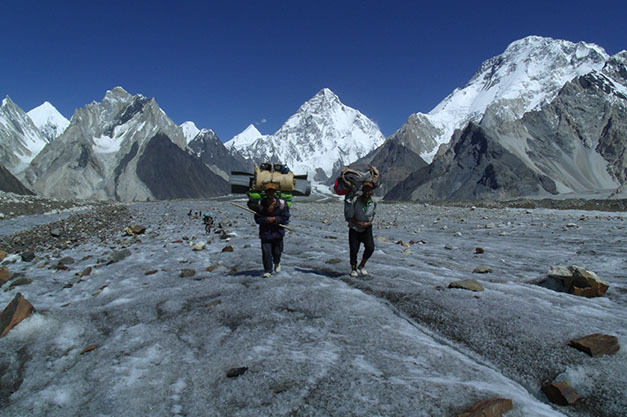 D. 5 Drive to Alskole along the Braldo River 5-6h, Askole is the last village, from here the trek begin towards the world second highest mountain (K2, Chogori 8611m). D. 6 Trek Jula 6-7h, Jula means Swinging pulley. Once trekkers and climbers crossed the Dumordo river by Pulley. This camp site is in the back drop of Bakhudas mountain 5900m with clear water. D. 9 Traditional rest day and day hike for acclimatization. D. 10 Trek to Khaburtse 6-7h, 3900m. 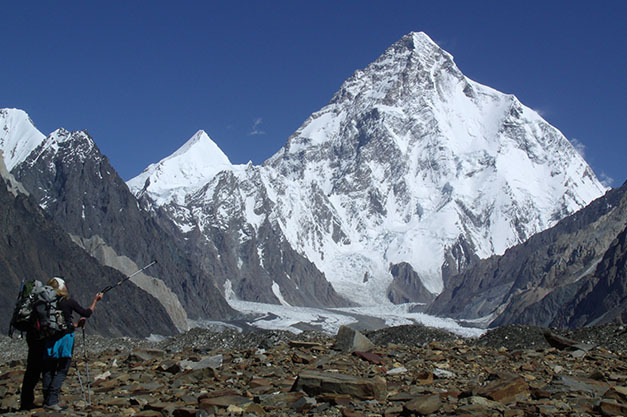 D. 12 Trek to Concordia, junction of glaciers, 4600m, this is the view point for K2, Broad peak, Gasherbrum IV and many other peaks. D.15-20 Trek back to Askole proceed to Skardu. D. 21 Briefing and drive to Chilas. D. 22 Drive to Islamabad. D. 23 Fly to home destination.